Note: This article is the first in a series of mining risk articles that Americas Market Intelligence (AMI) will be developing, each one focused on handling different risk factors. After three years of decline, mineral prices bottomed out in 2016 and have since climbed. The balance sheets of most mining majors are once again healthy and an appetite for acquisitions has returned to the industry. The mining exploration drought is over. 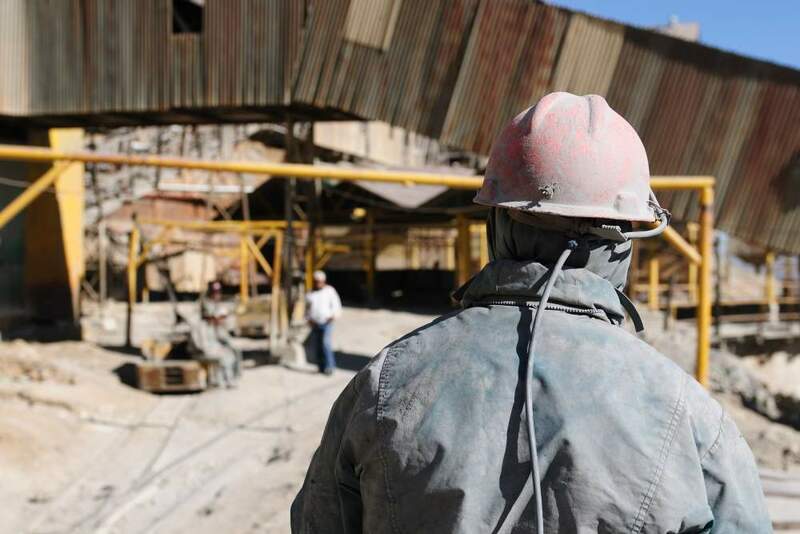 Mining juniors are busy at work across Latin America, either resurrecting mothballed projects or starting new ones to satisfy investor desire for new assets. Most mining investors need to refresh their understanding of risk in Latin American jurisdictions, thus AMI will publish a series of articles related to how we perceive the state of risk today in the region and the best practices we have witnessed over the last two decades. The article below relates to the risk of political interference which can plague mining projects if not carefully foreseen. Other areas of risk that we will explore in future articles include: reputational risk, regulatory & legal risk, local community risk, security risk, infrastructure & labor risk, and economic risk, among others. Political interference risks include obstacles at the local, national and even international level that hamper foreign investment in the mining sector. They can result from ambitious individual political agendas, political alliances of interests, local power struggles or international regimes and influence. Despite the economic gains produced by mining, some Latin American political leaders have reversed their support of mining projects when they conflict with their own ambitions or a project requires too much political capital to continue supporting. In Colombia, the 2018 presidential race remains wide-open. The widely unpopular Santos administration made mining a strategic growth industry after oil prices collapsed in late 2014. However, mining faces a sketchy reputational history in Colombia. A still robust illegal mining industry has funded guerrillas and other illicit groups for years. The FARC peace agreement has empowered local communities who recently have taken to rejecting mining and energy projects through local referenda. In such an environment, political candidates of all bent are taking anti-mining positions ahead of the 2018 poll, which they may find difficult to reverse, even if economic necessity obliges them to, once in power. In French Guiana, miners have had their operations frozen by political decrees inked in France. In a territory plagued by unemployment and where the sustainable exploitation of an impressive mineral endowment could have been responsibly regulated, the personal ambitions of key ministers in Paris have prevailed. Mining projects were successively blocked by the short-lived presidential aspirations of economy minister Arnaud Montebourg —seeking the support of the Green Party—and the current run of energy minister Segolene Royal for the UNDP Presidency. To address those political interference risks, a careful profiling of key political actors is needed to understand the strategy developed to serve their political ambitions. If the main obstacle is public perception on mining, then a broader education campaign that distinguishes responsible modern mining methods from illegal mining is needed and best funded in cooperation with other miners. Furthermore, the economic benefits of mining royalties should not only be communicated to the national and local governments who receive said funds but also to the wider public, who live in cities and often do not fathom the amount of tax revenue resource investment generates for their country. When a new administration takes over, such as in France, a close monitoring of political continuity is mandatory for potential investors. Mining developments in French Guiana will depend very much on the high profile environmentalist Nicolas Hulot, newly appointed as State Minister of Ecological and Solidary Transition. The traditional paradigm of left (anti-mining) versus right (pro-mining) no longer stands up to scrutiny in Latin America. Political interference and conversely support can come from any political stripe. However the dynamics of political alliances and party politics still impact mining policies in most countries because of the emotional and economic weight the industry has long held in Latin America. In 2013, President Rafael Correa of Ecuador was ill-advised to apply an oil sector designed windfall tax on the country’s largest gold mine, Fruta del Norte, owned at the time by Kinross, the Canadian mining major. Kinross threatened to abandon the project if the windfall tax was applied and the Correa administration foolishly ignored the miner’s economic plea for mercy. The departure of Kinross from Ecuador was a blow to the nation’s reputation and cost the administration hundreds of millions in unrealized royalties. In spite of his left wing political position and anti-gringo rhetoric, Rafael Correa reversed his stance on mining and began to embrace the sector, creating a separate mining ministry which led the passage of a rash of regulatory reforms to attract new investors. Counterintuitively, the Ecuador election of banker candidate Guillermo Lasso in April, 2017 would have been detrimental to mining interest as he had assembled a makeshift coalition of indigenous anti-mining interests and environmental NGOs. His election would have likely marked the end of mining operations in Páramo regions (above 2800 meters) and a reinforcement of the consulta previa framework. The new Lenin Moreno-led left wing government, on the other hand, is expected to continue Correa’s pro-mining investment stance. The greatest risk of political interference is felt during national political campaigns when mining often takes centre stage and potentially irrevocable positions are voiced in a race to win the voter support. In Brazil, the 2018 elections are likely to reactivate debates over the reform of mining royalties in the country and the replacement of the current 1% CIFEM tax by a 4% royalty tax. Some politicians have built their very candidacy on the back of mining and energy companies. The rise of Evo Morales to power in Bolivia or Ollanta Humala in Peru relied heavily on openly anti-mining rhetoric to generate support from indigenous groups, Andean rural communities, urban students, and other anti-mining groups. Once Ollanta Humala became president, a six-month period of tension between the new government and a well-coordinated mining industry led to industry-accepted higher royalty levels and stricter regulations overall, but proved less taxing than the policies voiced by Humala during his campaign. One of the soundest ways to mitigate political interference risk is to bring in politically influential local business leaders as project investors, being sure to build alliances through them to all viable political parties. It is important to exact a sizeable economic commitment from local investors to ensure their commitment to the project. Most daily political interferences are not exerted at the national level but rather at regional and local levels. While national governments in Latin America generally support mining investment, local communities and governments are more likely to be openly hostile to miners. Their opposition can stem from factors ranging from fear of environmental degradation and competing local economic interests to a strong and historically validated distrust of the national government and any projects it supports. From 2000-2010, more than 70 local referenda were conducted in Latin America, provoked by local opposition to extraction sector projects, particularly mining. In the Cocachacra district, close to Arequipa, Peru, farmers recently staged a months-long strike and violent protest over the claim that the “Tia Maria” local mining development—expected to generate 3,000 construction jobs, 650 well-paid permanent posts and add more than $500m a year to Peru’s exports—would kill their livelihoods by polluting rivers. Similar protests plague other projects in Peru, including Las Bambas and Pichanaki. Across Latin America, more than 200 local mining disputes are raging (see map on the left). Local conflicts which test the political will of national government support for mining has become one of the most prolific and challenging risks to mining investment today. Oftentimes, competing local interests are threatened by a mine’s development. Small scale farmers, who draw water from the same source upon which a future mine will also rely, worry the mine will contaminate the water and threaten their crops or livestock. Some mines border pristine wilderness in the Andes which may be sacred to indigenous people, or a national park or another important tourism draw. However, some competing interests are less scrupulous in their origins. In Venezuela, Ecuador and Colombia, illegal operators predominate gold mining. In Bolívar state in eastern Venezuela, illegal miners employ gangs to resist efforts by the national government and military to root out informal miners. Of the dozens of ongoing local conflicts in the region, more than a handful are fueled by illegal mining interests wielding influence to foster opposition to proposed projects. In Antioquia, Colombia for example, opposition to AngloGold Ashanti’s mining operations grouped together an odd alliance of farmers and illegal miners, as well as religious leaders hoping to protect sites where the first Colombian Saint, Laura Montoya Upegui, lived. The Catholic establishment, worried by the potential disruptions and debauchery of mining employees, engaged in an alliance of convenience with corrupt politicians and local businessmen eager to maintain their relative power in the province. As a result, only 76 of the 6,241 voters who turned out for a local referendum backed the development of the $2 billion La Colosa mine. In some cases, the miner may achieve healthy relations with the local community, but the historic animosity between that community and the national government is so strong that project opposition is unflappable. Many times the hatred of national governments in local mining communities stems from generations of failed promises to pass mining royalties down to locals in a meaningful way. This lack of trickle-down economic benefit has proven problematic in Colombia, Peru and the Dominican Republic, for instance. Feeling neglected by their national governments, local communities may try to disrupt the mine in the hopes of motivating the miner to advocate on their behalf or finance their local infrastructure needs directly through its own CSR budget. Before investing in a mining project, due diligence efforts must assess the local political environment. What is the history of prior mining development in the area? What are the concerns of locals with regards to mining? What are the competing economic interests in the area, legal and otherwise? How motivated and effective is their leadership to marshal opposition to a mine? How fair and transparent is the sharing of royalties by the national government and how likely is any shortcoming bound to foster project opposition? These are just some of the questions that miners need to ask before bidding on a mine. An example of the importance of local due diligence can be found in Brazil, where several junior mining companies invested in the states of Para and Goias without implementing adequate due diligence and monitoring processes. Now they seek to divest, having given up trying to navigate the bureaucratic and political delays thrust in their path by uncooperative (and allegedly corrupt) local governments. Local communities and government need to be treated with the same partnership status as the national government. Anything less only plays into the hands of unscrupulous stakeholders who wish to profit from historical mistrust between local and national government levels. Also key to keeping the peace is monitoring the different local players who seek to disrupt the mine. Knowing ahead of time their plans and actions helps miners reach out to them or to local allies to head off conflict before it materializes. Political interference can also come from external sources including foreign political pressure, compliance with cumbersome international conventions, as well as global interest groups and NGOs. Foreign political pressure can emanate from an aggressive neighbor. as well as from a lender (client) nation that can wield considerable influence at the Presidential level. Though Latin America has few border disputes, there are a few lingering ones that can get heated when natural resource wealth is discovered in a border region. Case in point is the more than century-old claim by Venezuela over the Essequibo region in western Guyana which has always included sizable gold deposits became heated again when Exxon announced an off-shore oil field containing an estimated 1.4 billion barrels. The Atacama border dispute dating back to the 19th century has caused heated rhetoric between Chile, Peru and Bolivia and is home to some of the world’s most prized copper geologies. Over the last decade, China has grown to become the largest bi-lateral lender to Latin America, lending over $37 billion in 2010 alone–more than all other government lenders combined. Like the aid and loan schemes of countries like the US, UK, France, Holland and Japan, bilateral loans come with strings attached, that is to be spent on equipment and expertise from the lender nation. China is no different and Chinese mining and energy companies, many of which are SOEs (state owned enterprises) have been known to leverage political power in order to win competitive resource bids. International organizations and global regimes can also influence the development of mining operations. An example can be found with the ILO 169 “Indigenous and Tribal People” convention. Its ratification by most countries in Latin America has triggered new obstacles for mining investments by encouraging NGOs to demand preliminary consultation (“consulta previa”) with communities not only for extractive operations but even for any initial exploration. Similarly, environmental NGOs have shifted from predominantly local organizations with micro interests to large global networks with significant means of influence both online and on the ground. Global environmental NGOs have brought unprecedented attention to the use of harmful chemicals in mining operations, thereby obliging some host governments to ban their use. Mining is no longer seen as a simple extractive exercise that brings a natural resource to market. This is especially true in Latin America, where a five hundred year search for mineral wealth has left an indelible mark on the region’s history, society and geography. Political interference is simply a tactic used by those who choose to voice their opposition to mining. To mitigate political interference, mining investors must begin to understand and address the seeds of that opposition before they gain a public voice, by partnering with local communities and host governments. Winning the hearts and minds of a nation of voters and their weak-kneed political leaders requires an effective public relations campaign that hammers home two consistent messages: i) that modern mining methods are environmentally safe and ii) mining delivers unrivaled economic benefit to local communities as well as the national public coffers. Contact our consulting practice to learn how AMI can help you identify, understand and mitigate the risks associated with natural resource investment in Latin America. Remi Piet, PhD is co-leader of AMI’s Natural Resource and Infrastructure practice and an expert of Latin American and Middle-Eastern political and resource risk.